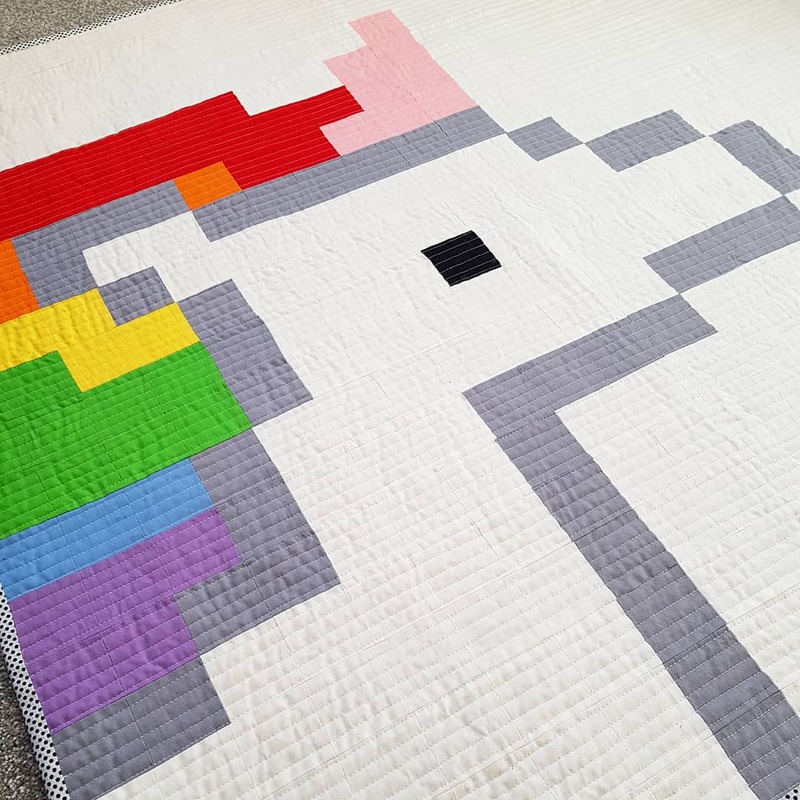 Way back in August I started making this unicorn quilt. I saw the pattern in the magazine Love Patchwork and Quilting by Sarah Ashford and as soon as I spotted it I knew I had to make it! One of the great things about having Mabel is I now have the perfect excuse to make all the cute things. I had no trouble piecing the top and really enjoyed it and it actually didn’t take me that long to get done. The real problems was the quilting. My machine is old and very basic, and although it has managed some quilting in the past it was not behaving for me this time. The tension was all off, the length of the stitches kept changing from teeny tiny to too long in one line, I spent a good few frustrating hours with my seam ripper and I feared it was destined to live in the cupboard and be a UFO (Unfinished Object). Fast forward to a couple of weeks ago where the opportunity to buy a second-hand but never used Elna 6600 Quilter’s Edition sewing machine came to be. Such lucky things never really happen for me so as you can imagine I was super excited! 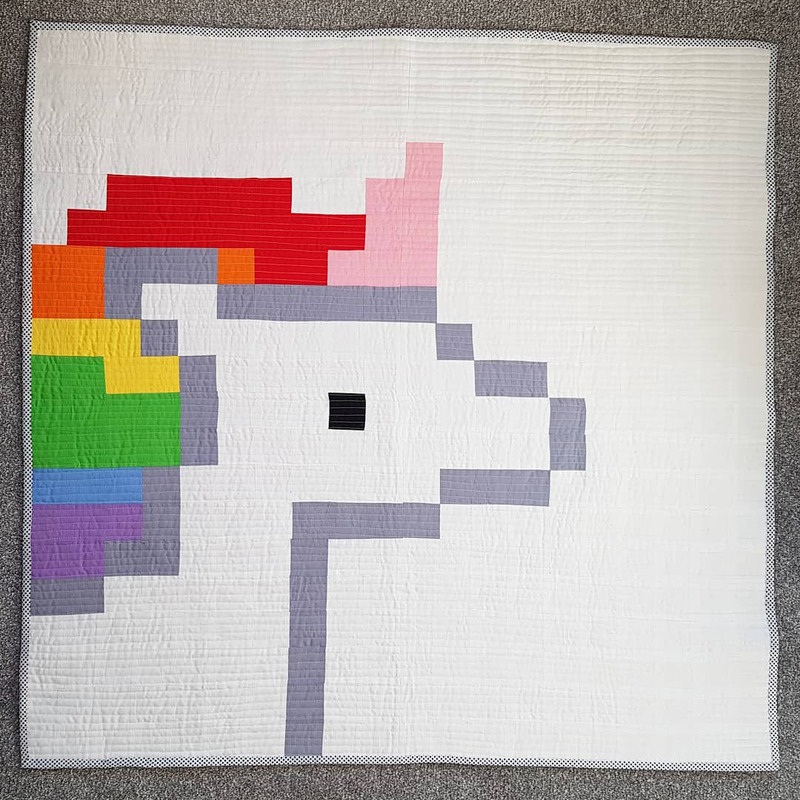 So excited in fact the next day I set it up grabbed my nemesis that was the unicorn quilt and set to work on getting it finished. In just one weekend it was done. I didn’t quite realise how old, noisy and clunky my old machine was until I got on the Elna, wow what a difference! Even my husband who professes to not knowing about sewing machines commented on how much quieter it was. How amazing to have the needle down function too, what a game changer! I feel sad for my old machine it saw me through 10 good years but it was definitely time to upgrade. I will keep hold of it and if Mabel would like to learn to sew in a few years then she can start on that. The binding had to be spotty of course and so was the back, I picked a perfect rainbow spotty fabric by Dashwood Studio. Sewing my binding is my absolute favourite part of making a quilt. I love how it makes you sit, relax and reflect a perfect finish to a project. Of course the added bonus of this time of year is it keeps you warm too! As soon as Mabel saw it finished it she grabbed it and claimed it as hers, what more could make me happier! Spots galore but I think a perfect touch! 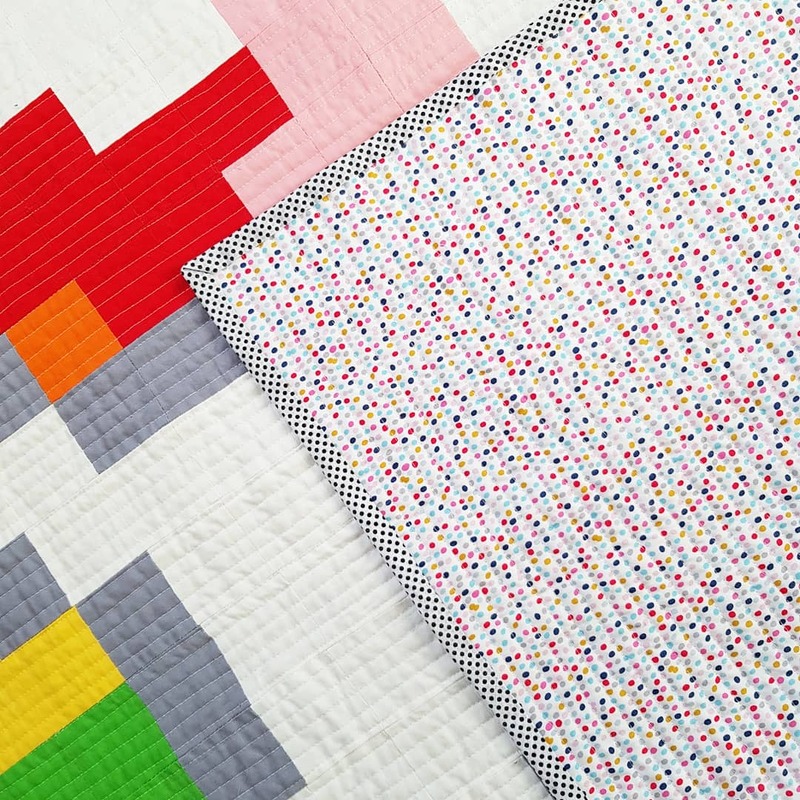 You can find the pattern in Love Patchwork and Quilting magazine Issue 49.